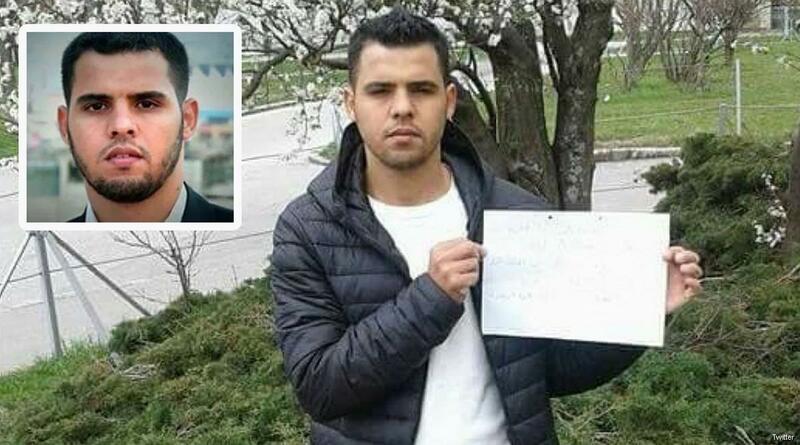 Israel acknowledged on Monday that it was behind the imprisonment of a Palestinian asylum seeker in Austria, Shehab.ps has reported. Abdul Karim Abu Habel was sentenced to life in prison last week by an Austrian court, apparently after evidence was provided by Israel. He was found guilty of being a member of the Palestinian Hamas movement and plotting attacks against Israel. According to the Israeli Public Prosecutors, the Austrians depended on information regarding Abu Habel’s case supplied by Israel’s Shabak internal security agency. His family deny that he is affiliated to any Palestinian faction, and pointed out that he has already served nine years in an Israel prison on the same charge, having been arrested in 2004 when he was just 14 years old. Abu Habel, they said, travelled abroad seeking work to be able to look after his wife and children. The PLO’s Prisoners and Freed Prisoners’ Committee rejected the “oppressive” and “arbitrary” sentence passed against Abu Habel. It was imposed, it said, as a result of Israeli incitement against the young Palestinian. Real estate magnate Isaac “Ike” Fisher, a stalwart supporter of Israel and financial investor in Israeli social projects, announces plans to pull back from schemes and suspend involvement in lucrative fundraising projects until Israel reverses its decisions which have fractured Israel-diaspora relations; ‘Enough is enough,’ says Fisher. Fissures in relations between Israel and US Jewry are threatening to become even deeper following the government’s controversial decision last week concerning Jewish conversions and the Kotel, as Jewish philanthropist Isaac “Ike” Fisher announces intentions to withdraw funds from Israeli projects. The real estate magnate, with his fingers in multiple pies directly affecting Israel, has expressed unequivocal disapproval of the coalition’s move to delay the construction of an egalitarian prayer section near the Kotel and to approve a bill that would enable the ultra-Orthodox political parties to retain a comprehensive monopoly over all conversions—past and future. Fisher made his latest investment as recently as last week, pumping $1 million into Israeli bonds, but has since asked for his money to be returned. Moreover, he has announced that he is suspending fundraising activities for Israel until the conversion bill and Kotel crisis is resolved. If his threats are indeed carried through, the consequences could be multi-faceted. For example, as a member of the Friends of Tel Aviv University group, Fisher provides annual grants to students in his mother’s name. In addition to generous donations he makes to the university which could now find itself directly bearing the brunt of political spats in Jerusalem, other social projects such as the development of the northern town of Or-Akiva or Yeruham to the south which he is financing could also be adversely affected. Furthermore, when his son Kobi celebrated his Bar Mitzva, Fisher’s family financed the creation of a soccer team for Ethiopian youths in the town of Pardes Hanna-Karkur located in the Haifa District. Fisher’s influence is not limited to social and housing projects however. Indeed, it also extends deep into Israel’s security interests, as exemplified by the painstaking efforts he took, and significant sums of money which he invested during his time as member of the Central Council of the pro-Israel US AIPAC lobby in a bid to convince Congress to quash the US-Iran nuclear deal. Now however, Fisher has announced that he is suspending his involvement in AIPAC. “It isn’t a matter of Reform or Conservative,” Fisher told Yedioth Ahronoth in reference to the most liberal denominations of Judaism most affected the government’s decision. “This is a serious act of contempt for the rabbis and leaders of our communities. They (the Haredim and Prime Minister Netanyahu) say ‘you don’t matter. They say to our women ‘your Judaism isn’t Judaism.’ It is intolerable and we have an obligation to put an end to it,” he said. The seemingly punitive measures Fisher plans to take include stepping down from his role as Chairman of the UJA Federation of Miami fundraising efforts—one of the wealthiest in the US—which could have a profound impact on Israel. Indeed, he has already said that he had informed the federation that he would not be working with it until Israel reversed its decision. 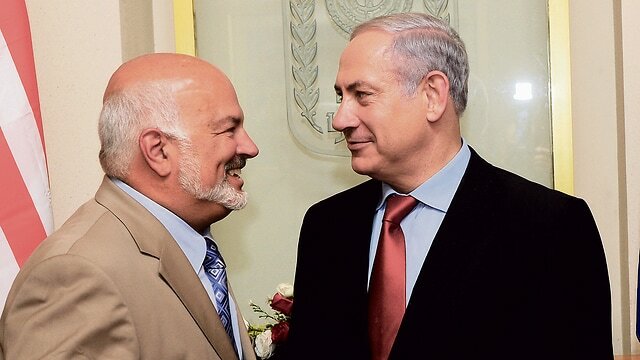 At the end of last week, Fisher sent a frank letter to deputy minister and former Israeli envoy to the US MK Michael Oren (Kulanu) apprising him of the string of measures he had decided to take over the matter. The multi-millionaires stance has raised fear among many Israelis that it may set a precedent for other wealthy businessmen who use their finances to back Israel’s development. With thousands protesting the coalition’s choice the strike one of the most sensitive chords that resonates with Jews worldwide, Israeli officials are well aware that Fisher’s actions may constitute just the tip of the iceberg in what may become an increasingly precarious relationship with the Jewish diaspora. “As a member of AIPAC’s Central Board, this is a man who invests two days per week in Israel, and Ike also does a lot of other things aside from this. He is also a big philanthropist who brings many other wealthy Jews to contribute to Israeli projects,” MK Oren explained. He added that the entire issue represents a serious danger to Israel’s economy and its security. 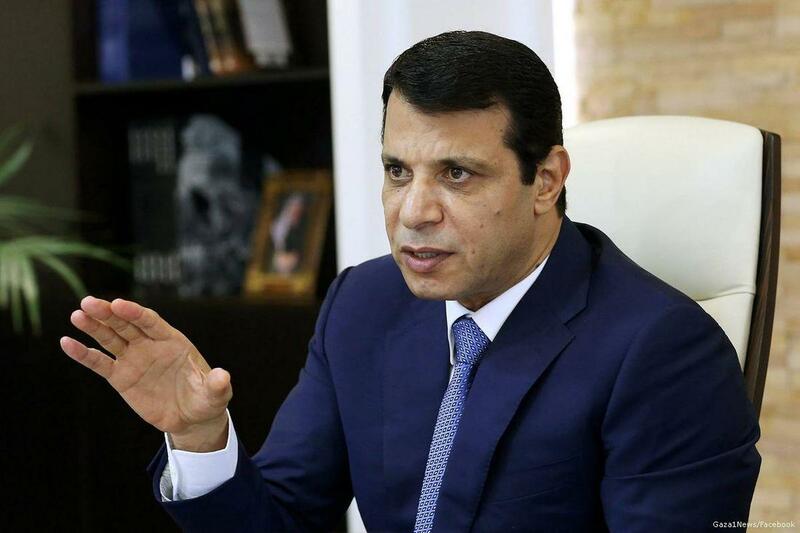 A leading Israeli writer revealed yesterday an Israel-Egypt-UAE plan to install Mohamed Dahlan as the leader of the Palestinians in the Gaza Strip instead of Mahmoud Abbas. In an opinion piece in Haaretz, Zvi Bar’el said that while Hamas would remain in control of security and not be demilitarised, at least “Israel would have a partner in Gaza who supports reconciliation” with the Zionist state. Dahlan, he pointed out, is the Palestinian president’s “political rival” and if the plan succeeds it is expected that Abbas would be “pushed into a dark corner”, leaving the former Fatah official free to move against him. The endgame could see Dahlan installed as Abbas’s successor at the top of the Palestinian Authority, Fatah and the PLO. According to Bar’el, Egypt will ease the siege of Gaza by opening the Rafah Border Crossing for people and goods. The UAE, meanwhile, will fund a power station on the Egyptian side of the border near Rafah; a port is also a possibility. Dahlan is very close to the governments in Cairo and Abu Dhabi. “It’s still too early to assess whether this plan will be fully implemented,” he wrote, “and if Hamas will agree to place Dahlan at the head of the Gaza government, a step that could all but sever Gaza from the West Bank, especially given the long feud between Abbas and Dahlan.” On the other hand, the writer pointed out, if the plan does come to fruition, it could make an Israeli-Egyptian dream come true. A “state of Gaza” could become a reality with Dahlan at its head, something that, for Israeli Prime Minister Benjamin Netanyahu’s government, is “the plan’s key”. If the plan succeeds, said Bar’el, it would “neutralise” the role of Qatar and Turkey in Gaza. He described Israel’s policy of “what’s good for Hamas is bad for Israel, and what helps Gazans strengthens Hamas” as a “failed concept”. Instead, he clearly believes that this “new strategy” which places the people of Gaza first should be given serious consideration. Yuli-Yoel Edelstein, speaker of Israel’s Parliament (Knesset) addressed the Russian Federation Council on Wednesday and is set to meet Russian Foreign Minister Sergey Lavrov on Thursday. Edelstein, who has previously spent time in a Soviet labor camp, focused among others on the threat of international terrorism. Yuli-Yoel Edelstein delivered his speech before the Russian Federation Council – Russia’s upper house of parliament – in Moscow, on Wednesday. 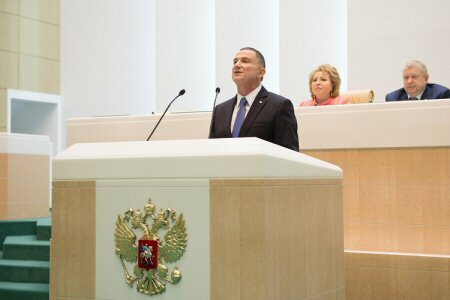 Edelstein, now Speaker of the Israeli Parliament (Knesset) was invited for an official visit by Federation Council Chairwoman Valentina Matviyenko. He gave his speech exactly 30 years after he served a three-year sentence in a Soviet labor camp for his Zionist activities. It might be worth noting the “New Hebrew”, by no means is “the language which any of the prophets of Israel” spoke or wrote. New Hebrew is a constructed language “based on” some old Aramaeic, Arab and Hebrew with many elements from Jiddish added to it. Non of the members of the Russian Federation Council challenged Edelstein about his claims about the threat posed by Hezbollah – in the light of numerous Israeli transgressions against Lebanon – about the fact that Israel, admittedly, sponsored Hamas to weaken the Palestine Liberation Organization – or that no one asked whether Edelstein, when saying “Jerusalem the eternal capital of the Jewish people”, actually meant “Jerusalem, the city annexed by Israel, which Zionists wish to turn into the capital of a Jewish supremacist state of Israel. It is noteworthy that Knesset Speaker Edelstein’s address was the first delivered by any Israeli at the Federation Council. The honor is usually reserved for heads of state. Following his speech, Edelstein was scheduled to take a personal tour of Moscow, during which he will visit sites that were significant in his life’s story: places where he was active as a Refusenik, the site of his arrest, the courthouse where his trial took place, the prison in which he was incarcerated, and more. Edelstein’s visit to Moscow is taking place, symbolically, 30 years after his release from a Soviet labor camp. Edelstein began his official three-day visit to Moscow Tuesday afternoon with a meeting with the Chairwoman of the Federation Council (upper house of the Russian parliament), Valentina Matviyenko. Edelstein was greeted warmly by Matviyenko, signed the guestbook at the entrance to the Federation Council, and presented his host with a bouquet of flowers. On Thursday, June 29, at 10:30, Edelstein will be meeting with Russian Foreign Minister Sergey Lavrov. Thursday, at 15:30, he is scheduled to meet the Chairman of the State Duma (lower house of the Russian parliament), Vyacheslav Volodin. At 17:30 he will hold a reception for leaders of Russia’s Jewish community. nsnbc : A number of left-wing, anti-war and anti-imperialist organizations, including the Communist Organization of Greece, have responded to the call of the Popular Front for the Liberation of Palestine to protest the visit of Israeli Prime Minister Benjamin Netanyahu and demanded his expulsion from Greece. Demonstrations are scheduled in the Greek capital Athens on June 15 at 7:pm local time, at the Israeli Embassy as well as in Thessaloniki at the Venizelos Statue. The Greece-Cyprus-Israel summit will take place in Thessaloniki, following Greek Prime Minister Alexis Tsipra’s invitation to the President of the Republic of Cyprus Anastasiades and the Prime Minister of Israel, Benjamin Netanyahu. The protesters and participating organizations are blaming Israel’s for its role in Palestine as well as its role in wars and conflicts throughout the Middle East. Also criticized is Israel’s role as protagonist of what is described as U.S. President Donald Trump’s war campaign against Iran and anyone else blocking US plans in the region. In a joint communique the organizations stated also that the Tsipras-Kammenos government’s cooperation with “state-terrorists” and adventurous choices jeopardize the real interests of Greece. We did not expect from «leaders» who did not hesitate to sell out the national wealth and the sovereignty of their country to become aware when an other people is victim of occupation and theft … Peoples of Greece and Cyprus, on the other hand, have every reason to oppose this shameful co-operation, which also legitimizes the plundering of the natural resources of occupied Cyprus by Ankara, and semi-colonial Greece from its «EU-partners». Moreover, it downgrades the remains of the Greek-Arab friendship.